While it hasn't been confirmed, many suspect that Batgirl will make her DCEU debut in the upcoming Suicide Squad spin-off Gotham City Sirens, which will serve as a showcase for Margot Robbie's Harley Quinn. A lot of fans have recent Oscar winner Emma Stone at the top of their wish list to play Batgirl. And that being the case, fan art maestro Boss Logic has once again stepped up to the challenge, giving us all a look at what Stone may look like as Barbara Gordon. He says this. "Emma Stone - Batgirl, even tho I want her to play this I would still love for her to be in the marvel universe with @brielarson :D"
Boss Logic shared the image on Twitter, with the images arriving just a few days after Emma Stone won her Academy Award for La La Land. The art shows Stone in her cowl, and without it. And she looks great both ways. This urgent push to get Stone in the batsuit mirrors what happened with Brie Larson winning her Best Actress Oscar for Room, and then being announced as Captain Marvel. Though, a lot of Marvel fans share Boss Logic's sentiment, that they'd rather see Stone suit up alongside Larson in the MCU. As far as we know, neither Marvel nor DC have made any offers to Stone and she already has a full slate set out in front of her. On the near horizon for the actress is the tennis biopic Battle of the Sexes, and she will play Cruella de Vil in Disney's second attempt at a live-action 101 Dalmatians franchise, replacing Glenn Close in this reboot. While it wasn't a Marvel franchise at the time, Emma Stone has already famously played an iconic Marvel character. She portrayed Gwen Stacy in both Amazing Spider-Man movies. And let's not forget she was nominated for a Best Supporting Oscar for her work in Birdman, starring Michael Keaton. While DC hasn't even let a shortlist slip for any of the other characters in Gotham City Sirens, it's not hard to imagine the actress joining that particular movie. It also helps that Barbara Gordon is a redhead. Though Emma Stone is a natural blonde, she is known as a red headed actress, and usually appears as such in her movies. She has also been fan cast in the movie as Poison Ivy, with Megan Fox also reportedly eyeing up that role. Gotham City Sirens is just one of many movies DC Films currently has loaded in their barrel, yet there is no telling when it may hit theaters. It is currently scheduled to be directed by Suicide Squad's David Ayer. But as we've seen with recent DC movies, that could change. 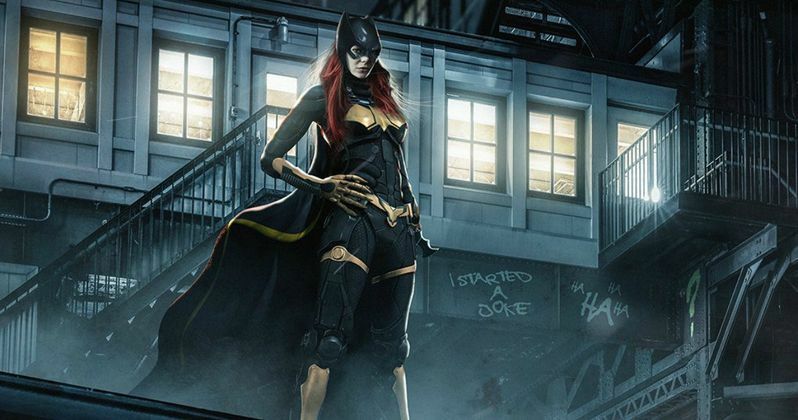 At this time, DC doesn't have any plans for a Batgirl standalone movie. But they surprised everyone last week by giving former Batman sidekick Robin his own movie with Nightwing. And it's logistically possible that Batgirl could show up in Nightwing. Or The Batman. There are quite a few franchise possibilities for Batgirl, and we don't think she'll stay off the screen for long. Take a look at Boss Logic's imagining of Emma Stone as Batgirl. Gotham City Sirens will also include Catwoman, Poison Ivy and the Birds of Prey. Black Mask is rumored (by the director, no less) to be the villain. Margot Robbie Will Return as Harley Quinn in 2018, But in What Movie? Gotham City Sirens Canceled & Replaced by Harley Quinn Vs. Joker?